Learning to accessorize can seem a bit daunting sometimes, right? And it seems like the rules of fashion change all the time; sometimes it’s okay to stack bracelets like crazy up both arms, but other times you’re supposed to accessorize with nothing but a simple necklace and a watch. No worries, you’ve got this. It’s okay to accessorize the way you want, but I have some tips in case you’re worried about the fashion police knocking on your door (poor, poor Joan). I’m a bit of an accessories girl. 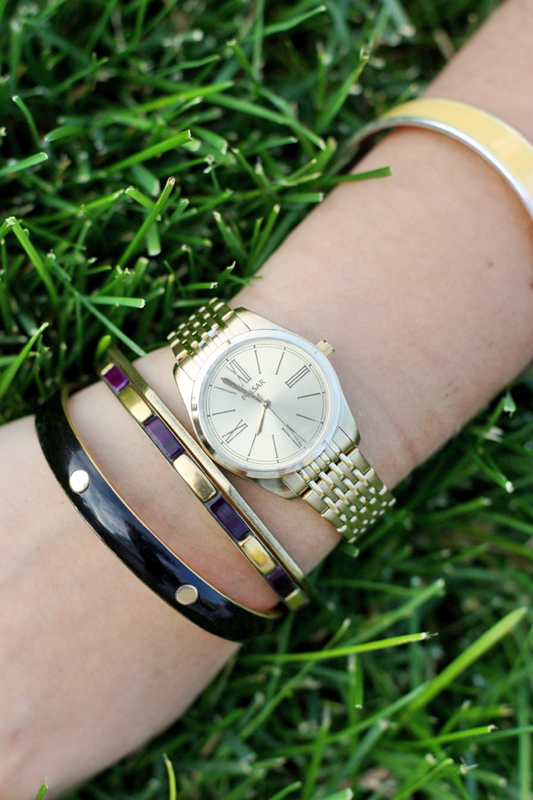 In fact, unless I’m doing dishes or gardening, or camping for that matter, I’m usually wearing at least three rings and stacks of bracelets with my favorite gold watch. Really. You know why? Because I like it like that, and I’m the boss of my accessories. 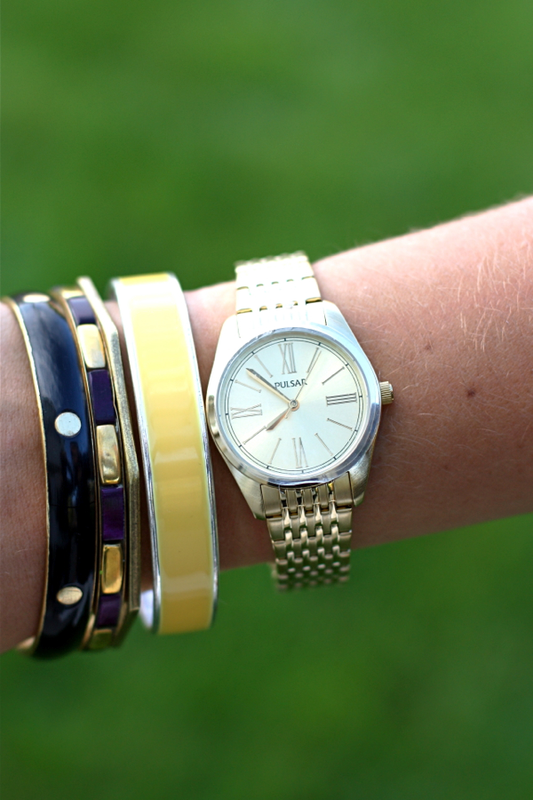 A perfect way (for me, anyway) to accessorize my watch is to wear a stack of bracelets on both sides of the watch, above and below. 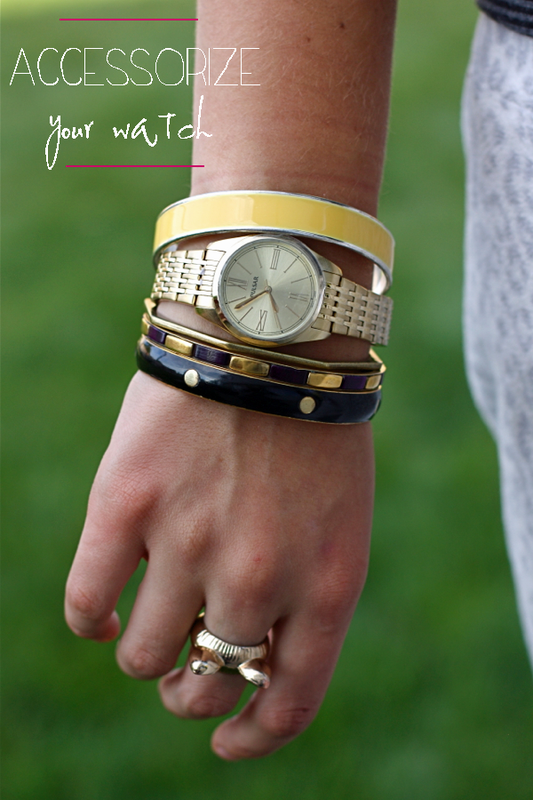 It doesn’t really matter what kind of bracelets, but usually depends on my outfit. If I’m wearing something a little more preppy, I’ll wear less in the way of jewelry in general. Maybe two bracelets on the arm without the watch, and a simple one next to my watch. If I’m going out to dinner with my girlfriends I layer my bracelets high on both arms, under and up above my watch, fingers laden with rings on every other finger. Practically. Big earrings? Yes, please. I maybe wouldn’t wear that much jewelry if I were headed to a business meeting or a chat with the school principal. I mean, let’s get serious. So if you work in a conservative office, or you’re on the board of overachieving students at Chilton (name that show), tone it down a bit. Wear a single classic watch and chill out on the accessories. Just during daytime hours. What do you think? Yes to a million bracelets? Only one gold watch and tiny earrings? Talk to me, how do you accessorize your watch? Every day, there’s a new rhythm, a new adventure. You dance to the beat of your own drum. You capture and share moments, with your family and your friends. 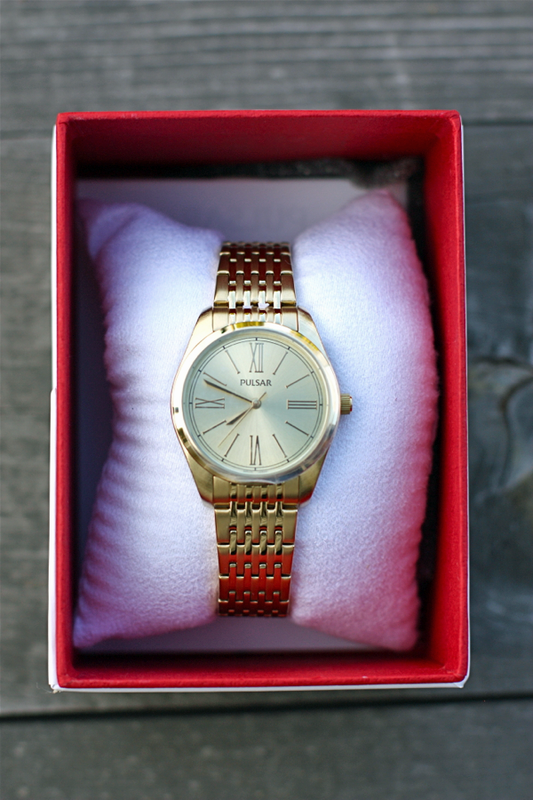 PULSAR is a quality companion that is right there with you – every day, and for tomorrow, with modern styles that stand the test of time. That’s Life. In real time. This is a sponsored conversation written by me on behalf of Pulsar. The opinions and text are all mine. Gilmore Girls! When I worked a desk job, bracelets were too uncomfortable to wear while typing :( But I like to stack a few now and then when I’m out for the evening. Oh I adore the GG reference!